First time in the Stowa forum, hopefully I can get some feedback from some current Stowa owners. I'm about ready to pull the trigger on a chrono and have decided it'll be a Stowa. I've reached the point in my watch purchasing career where I'm doing fewer impulse buys and trying to stick to nicer watches that I'll keep long term. 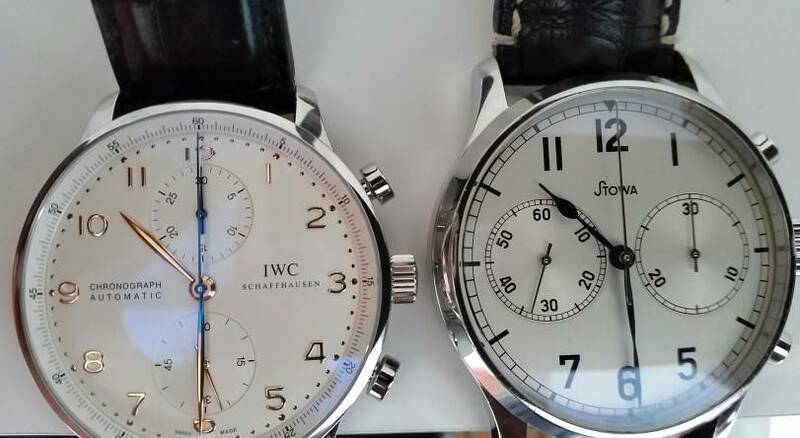 Right now I've narrowed it to the 1938 chronograph or the marine classic chrono. Most here know what they look like, but the two side by side are below. Going to go all out, hand wind movement, croc strap, and delete the date. Problem is, I can't for the life of me decide between the two. Plan is to use this mostly for work with the possibility to dress it up or down depending on what I'm doing. Probably have both a brown and black strap for whatever I end up with. Both would fit that bill. Any thoughts from those that own one or the other, or both? I can make a whole list of why to go with one or the other but am very torn right now. The Marine chrono is a tad more flashy and sporty and the blue hands are just gorgeous. Fikk and miquel99 like this. miquel99, Revan1 and montydrei like this. I did take a look at that one but have never liked gold on my watches anywhere. For the white face I'd definitely go for the marine classic. I do think the white face would go better with a brown or black strap, but I like how understated the black face chrono is. Mike, of the two of your chronos, is there one you tend to prefer? Or one you use for some things and one the other? Obviously you're a fan if you have two of them. 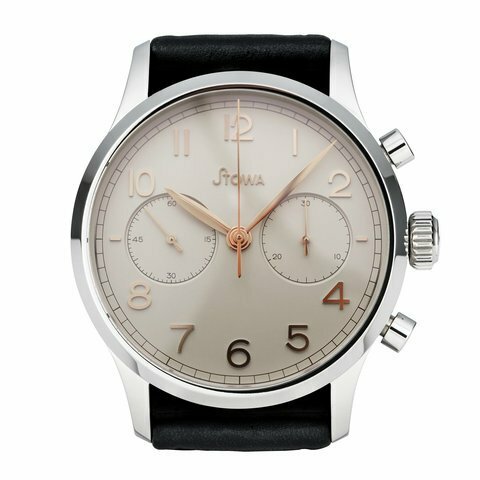 One thing that might sway me too is I think the 1938 still has the older Stowa logo on the face, which I like for the history. Probably going to have to flip a coin in the end. Interesting comment on the wrist presence, I hadn't considered that. My wrists are about 8" around, so on the larger side. Might be something to consider as well, since the marine classic can come in a 43mm case instead of a 41mm. 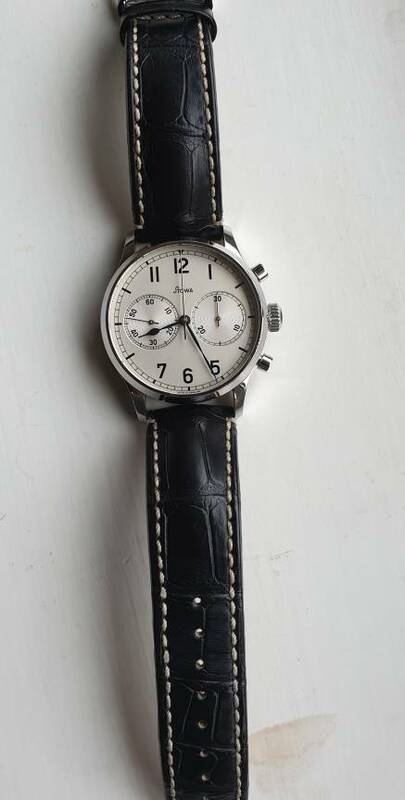 One thing muddying the waters as well is I can get an insanely good deal on a Longines Master Collection Chrono right now, probably talking about half the cost of one of these. Really nice looking watch, but a bit thicker. Probably crazy not to jump on it, but I'm still torn. The no date is my favorite 1938. Mine is not white, first generation was creme. Sorry, should have said "lighter colored one". Seems to be a bit more versatile. More pondering to do, if anyone else has feedback in general I'm all ears. The marine Chrono is my favourite Chrono so far. Having owned a few chronos nothing comes close to the silver dial, blued hands, remarkable design & finishing of the case and versatility of the valjoux movement. The current price is a steal. Last edited by iceman767; 1 Week Ago at 09:26.
stuffler,mike and jarlleif like this. I have always admired Longiness and had to make a similar choice between Stowa and Longiness. In the end I went with Stowa. I went into the Longiness store after my purchase to compare the watches. The stowa dial, heat blued hands and dial beats the longiness hands down IMHO. I have never regretted my purchase. Jaeger Le Coultre Memovox silver dial is a watch I have always compared to the Stowa Marine Chrono. 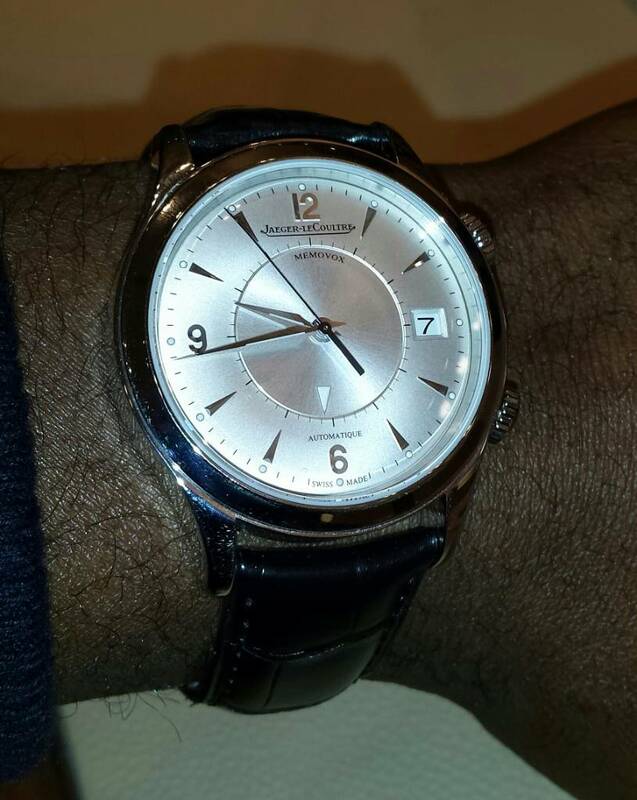 Oddly enough they are two distinct watches but with similar case sizes, finishes & silver dials. Last edited by iceman767; 1 Week Ago at 17:04.